'Boring' Singapore City Photo: The many faces of a building. I was going on my way to lunch yesterday when I saw this. Very neat, they look like masked pro wrestlers. Keropok Man, That is a wonderful find! I think of that song by the Police, "Somebody's Watching You." ;^) Do you know what significance those masks have, or are they just lovely decoration? 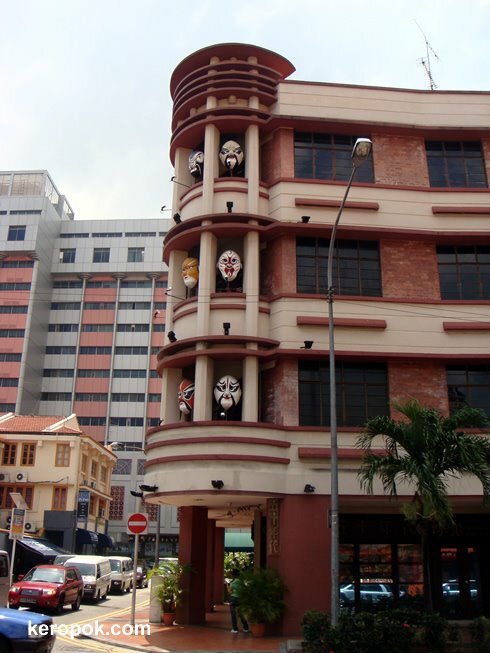 Nice capture of the building with the masks.